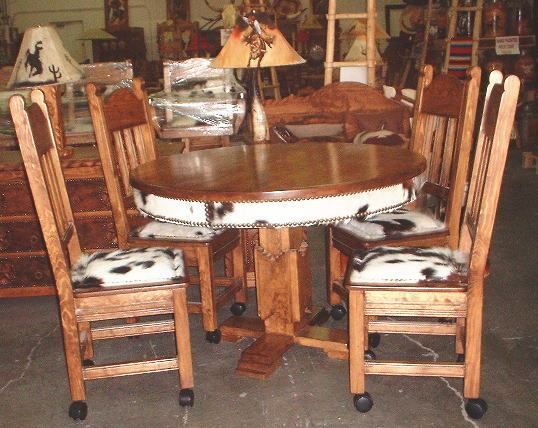 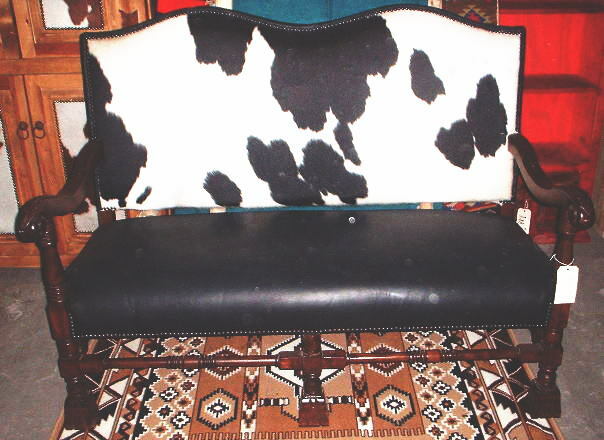 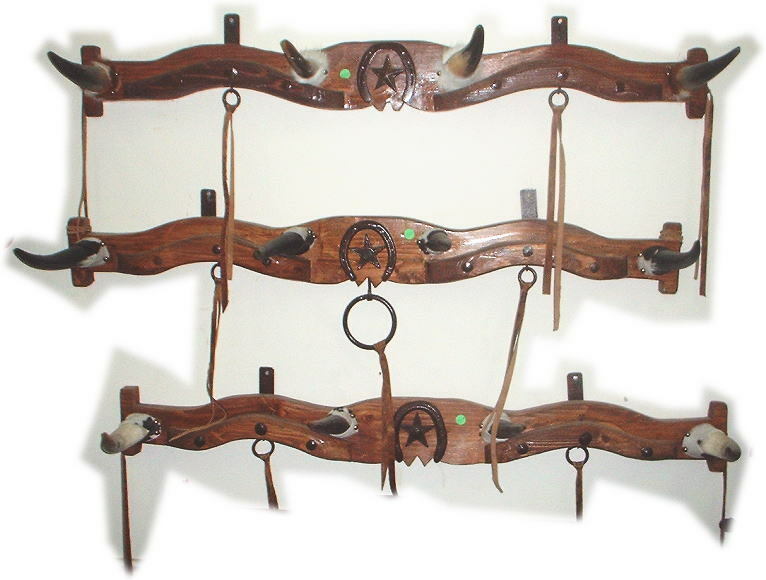 Southwest Texas style and Mexican rustic furniture with carved stars , cowhide upholstering, leather upholstering, southwest horn tables and westeern lamps. 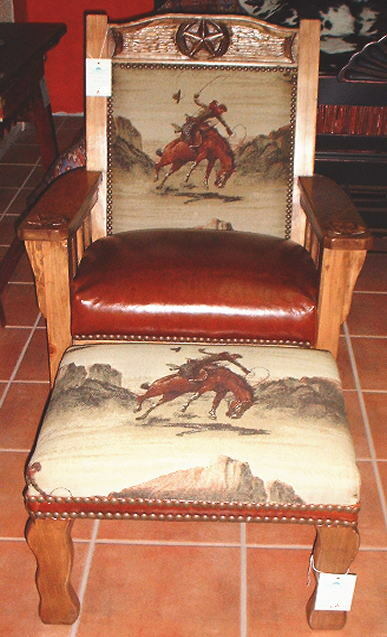 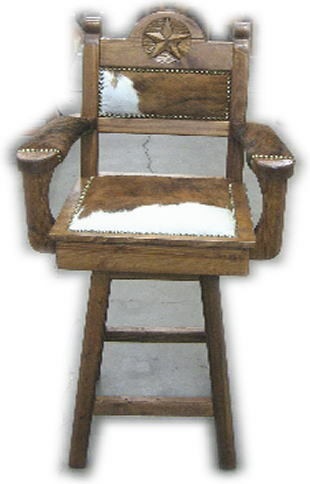 We carry southwest and western bar stools that can be altered to your desire. 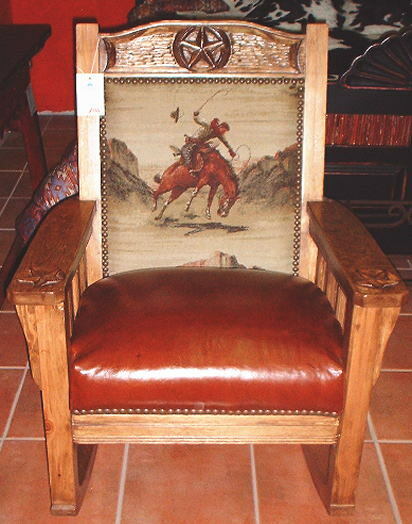 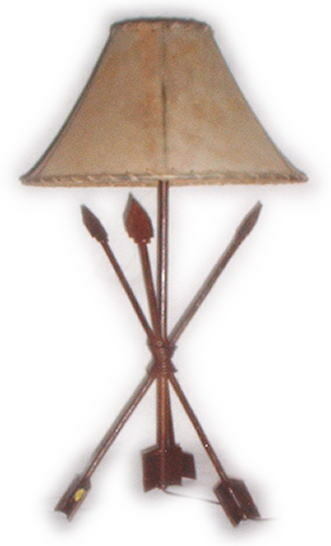 El Paso Rugs also carries southwest bars, western desks, and wrought iron lamps with rawhide lamp shades for that perfect southwest and western decor. 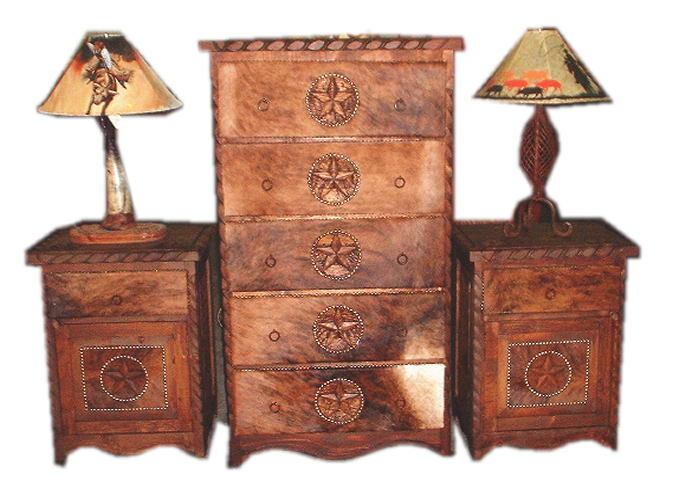 Our Mexican southwest furniture is hand crafted here at our store or in our warehouses Juarez Mexico, giving a chance to offer you this western furniture for an exceptional price. 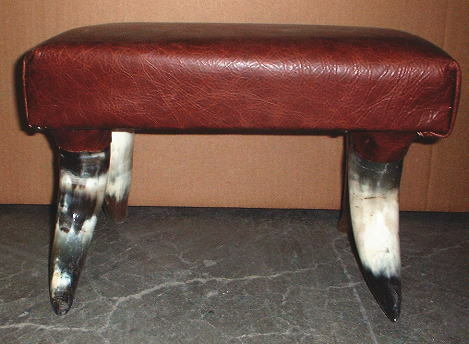 Cow hide patched foot stool Apx. 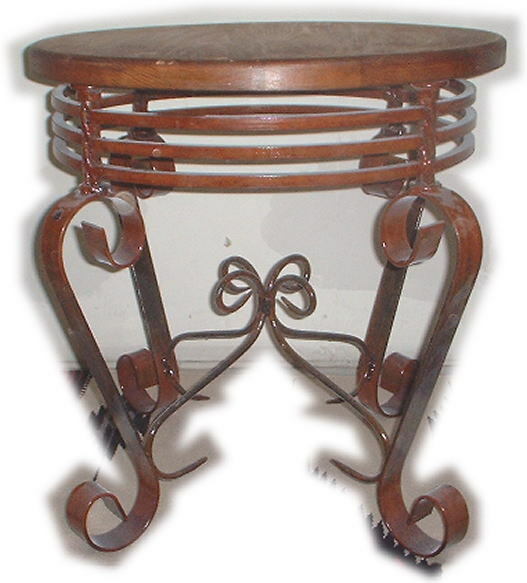 14" x 9" x 10"